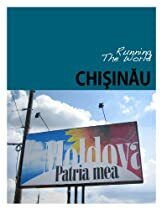 The routes, maps, stats, and cultural information you need to safely – and happily – run Moldova’s capital city. Brought to you by Blaze Travel Guides, an electronic publisher of international guides for active travelers. Discover more great runs and destinations at our Amazon store or on our website at http://www.blazetravelguides.org.